The Intralasik technology substantially improves the traditional refractive surgery procedure. All the phases are performed entirely with laser, providing the surgeon with greater control over the whole process. The software used in Intralasik surgery allows a completely customised flap to be created (it is thinner, preserving more corneal tissue) by accurately calculating the diameter, depth and thickness of the flap required for each patient. This allows a specific result to be achieved as defined by the needs of each patient, minimising the potential for surgical complications to arise. It is also capable of eliminating the possible complications associated with other techniques: decentration, corneal perforations or the creation of incomplete or irregular flaps. The precision in Intralasik is up to 100 times greater than the surgical blade used in the Lasik technique, which also reduces the need for repeated treatments. The flap generated is created parallel to the corneal surface, something that does not occur with Lasik, thereby resulting in better visual quality. People with very thin corneas are usually discouraged from having Lasik surgery. It is only possible to operate on this type of patient in clinics that have the most advanced technology as they are only suitable for surgery with Intralasik. This also happens for patients with a high degree of visual loss, very flat corneas and other special cases. Intralasik is a minimally invasive technique. 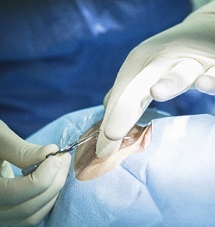 The formation of a thinner, completely regular flap preserves as much corneal tissue as possible, minimising the risk of complications in this delicate process and creating less likelihood for the patient to develop dry eyes. The procedure lasts just a few minutes. A topical anaesthetic is used (eye drops) and the patient only notices a slight pressure on the eyeball. Hospitalisation is not required and recovery after Intralasik is very rapid. The patient is able to walk out of the clinic without assistance and in just a few hours will notice improvement in their eyesight. In most cases they can resume their daily activity the next day. Our team of doctors specialising in cornea and refractive surgery has performed more than 20,000 operations for nearsightedness, farsightedness and astigmatism, led by Dr. Alió a world expert in corneal pathology and surgery. Vissum has been a pioneer in the use of the excimer laser in Spain since 1992 and later in the use of Intralasik and Intralase technology, a widely recommended technique that is an improvement over previous techniques based on cutting the cornea with a knife and not a laser. Vissum also has femtosecond lasers in their surgical centres. What are the advantages of corneal refractive surgery? Who can have the operation? For the refractive defect to be stable in recent years (the number of dioptres should not have increased in the last year). To have good eye health, a comprehensive eye examination will be performed by our ophthalmologists, which includes the following tests: measurement of refractive error and intraocular pressure, eye biomicroscopy, tonometry, pupilometry, pupillary dilation and topography with pachymetry. For contact lens wearers, a two-week break from wearing the lenses is required before the pre-operative tests are performed so that the cornea can regain its natural form, and a four-week break is necessary prior to the operation. In general, refractive surgery is suitable for patients whose nearsightedness is up to 8 or 10 dioptres, for farsightedness up to 6 or 7, and astigmatism up to 5 or 6, although this always depends on the thickness and curvature of the cornea. In cases with a high prescription or a thin cornea where a laser cannot be applied, there is the possibility of implanting phakic intraocular lenses, which are placed in front of or behind the lens and which can be used for young patients, (depending on the type of lens chosen), or pseudophakic lenses that replace the lens in the case of older patients to achieve an optimal solution. Our ophthalmologists will determine the best options for an operation and recommend the most suitable technique in each case. What are the different corneal refractive surgery techniques? Lasik (Laser Assisted In Situ Keratomileusis): Allows the correction of refractive errors using an excimer laser to mould the thickness of the cornea. It is the most widely used technique. First a thin layer (flap) is separated from the cornea using a surgical blade called a microkeratome, and then an excimer laser is applied to mould the corneal stroma (interior) and correct the patient’s visual defects. Intralasik: The process is similar to Lasik, but performed entirely with laser technology, without cutting the flap in the cornea manually, allowing greater accuracy and safety. 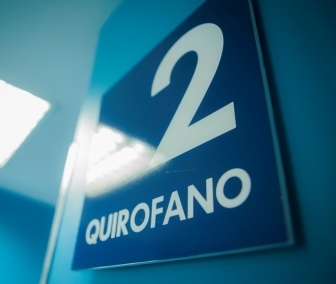 A femtosecond laser (a femtosecond is a trillionth of a second) allows the creation of a completely personalised flap in the cornea, as their size, thickness and position can be programmed, and it provides the option of instantly repeating the cut if it is incomplete. The Intralasik technology avoids potential problems in the creation of the flap, allowing greater control and accuracy when forming it. Vissum was a pioneer in Spain in applying the Intralasik technology, and it is available in all our surgical centres. PRK (photorefractive keratectomy): With the PRK surgical technique, unlike with Lasik or Intralasik surgery, no corneal flap is created, instead the corneal epithelium is removed with an alcohol solution. A laser is subsequently applied. This technique is indicated for patients for whom Lasik cannot be applied such as those with thin corneas, patients suffering from dry eye, patients who play contact sports, professions at risk of receiving blows to the head or patients with a low prescription and, similarly to Intralasik, in cases where the corneas are extremely flat or highly curved. Recovery is slower. Vissum has the latest generation AMARIS excimer laser, which considerably reduces the treatment time on the cornea and allows personalised treatments for the correction of aberrations as it has a smaller impact and creates a smooth and homogeneous stromal surface. 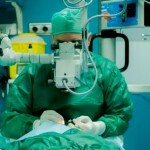 Vissum has ophthalmic surgeons with extensive experience in the use of these techniques, with thousands of surgeries performed. The operation is very simple, it only takes about ten minutes and is performed under local anaesthetic. It does not require prior or subsequent hospitalisation and patients leave the clinic after a brief rest period. Recovery is also fast and within days (about 24 hours for Intralasik and Lasik operations or seven days for PRK) the patient has normal vision. There are no long-term complications with vision, although the complications associated with ageing are routinely suffered. For the Lasik or Intralasik operations subsequent treatment with eye drops is required for seven days and the use of artificial tears for a month. These treatments continue for three months for patients who have undergone PRK surgery. There are no long-term complications with vision, although the complications associated with ageing are routinely suffered. The most common complications are dry eyes and the possibility of suffering a slight regression over time (in the form of a small deterioration in eyesight), for the latter it is possible to repeat the operation without major risks. Other less common complications include loss of some degree of visual acuity, and diffuse lamellar keratitis (significant inflammation that is treated with eye drops). Very rarely, infections can occur.